Bulk Ostrich Feathers for Sale - Drabs & Femina Plumes - Gorgeous Colors for Beautiful Centerpieces! Bulk Ostrich Feathers for Sale in Beautiful Drabs & Femina Plumes! ~ Sheila - Thank you so much for all your help. The wedding the week before was OK but this really made an impact. The photo enclosed is in daytime, so you see too much hangar - at night - it was dramatic. I have to wait till all the photos come in and see if I can get you a better one. Plus the place was huge - one jet, 4 planes, stage, 12 cars, 3 food stations and 30 tables! ~ Dawn ~ I just wanted to say thanks again for all of your assistance. The feather centerpiece turned out fabulous! The colors were perfect for South Beach Miami themed event!! ~ Amber - I just received my order of Ostrich feathers for my fathers 60th birthday celebration. I ordered them three days ago and they arrived today safe, in tact, and beautiful. They were also extremely economical, which is important as the celebration will be extremely large and requires many centerpieces (for which the feathers will be used). I cannot thank you enough for the ease of ordering and the perfect presentation. I will recommend you to everyone and, as I plan many celebrations, will be ordering from you again and again. ~ Lauren - I just wanted to let you know that I received both emails and will be sending that payment shortly. Thank you so much for all your help and time. I also wanted to just let you know that last June, I had purchased a ostrich feather centerpiece kit from you for my wedding and it was perfect and gorgeous! It was even more than I expected. It was so nice I immediately thought of SmileyMe to purchase from again. These feathers are for the centerpieces for my baby shower! As you can probably tell by the pink feathers, it's a girl! YAY! :)) So thank you for the great service and making these special days so special! ~ Martin ~ The wedding was beautiful. Thank you for all your help. ~ Jennifer - I stumbled upon your website from a google search and I'm hooked. My mom is a wedding coordinator and she plans to use you now whenever she can. We LOVE your statement of faith on your site! I'm ordering the ostrich feathers for centerpieces for a reception after my vow renewal for my 10th wedding anniversary. We're having the ceremony during our church service! Anyway, thanks again. I just placed the order and I can't wait to get them! ~ Laura ~ They made the day very special! Thanks Again! ~ Jura ~ I just wanted to let you know that we HAVE received the refund check! Thank you so much for being a part of our big day! I will be sure to pass on the word of your business. All the best and thanks AGAIN! ~ Janice - As I promised, I am enclosing a picture of your kits used to decorate my daughter's wedding - hope you enjoy how we used them (they were placed at every other table)!! ~ Darlene - Hello, Just received your feathers they are beautiful I'm using them for a sweet 16 I will need more so I will be a return customer. Thank you so much! ~ Carolyn - Thank you so much for the easy exchange. The feathers are just what I need and will be perfect for the centerpieces at my wedding...and one has already become a much loved cat toy. ~ Dani - This is how my centerpiece using feathers from smiley me turned out. Beautiful! The theme was a valentine day birthday party, and the red feathers really gave it that"wow' factor. ~ Jess - The feathers are fabulous!!!!! Thank you so very much. My client is very very satisfied!! ~ Camissha - Thanks so much for getting my beautiful feathers to me in a timely manner just in time for my 40th birthday party on Saturday. Once more the feathers are so pretty! 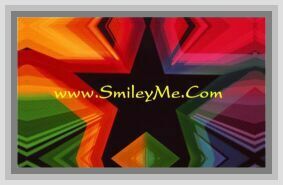 ~ Onella - I just wanna tell you thank you and smileyme.com for all you've done so we could get the feathers on time. We had carnival recently in school and being a low budget campaign we used your ostrich seconds to do the job, they weren't Rio but they were gorgeous on our costumes. The Blue and white ostrich 2nds worked out well for our headpieces and wings though and our group won best costume and was named best dressed band for the event. I will attach a few pictures of our project to this email for you and if you have a consumer pictures page on your website I would be excited to see them there. Thanks a ton! ~ Janice - Kim - I must tell you how simply glorious the feather vases were at my daughter's wedding. I will try to send you a picture when they come in. ~ Joanne - Your welcome. You have been very helpful to me. I appreciate it very much. This is for my daughters sweet 16. She has quite a few friends who are having parties also. I will gladly recommend you to them. Again, thank you so much. ~ Margaret - The photos are of our event where your feathers were the featured part of the decor. The theme was It's Time to Say Goodbye hence, the pocket watch motif in the centerpieces. The client didn't want flowers and we were using a black and white theme so the feathers were perfect. We accented the centerpieces with LEDs tucked inside each centerpiece. The guest of honor's table was the tall centerpiece with the vase lined with feathers and lit with LEDs. We hung 100 LED flickering tea-lights from the ceiling. The client was very happy with the look and we certainly appreciated the quality of the feathers we received. ~ Lisa - Thank you so much for all your help Kim! The centerpieces look beautiful. We will be using you again in the future. Happy New Year!! ~ Sarah - Thank you so much! If all goes well I will be ordering more feathers for my wedding in September! Thanks Again! ~ Dimas - I want to share with your company, how the feathers are beautiful addition to my work and they are the best quality......BEAUTY.....THE BEST FEATHERS, THE ARE GREAT....THANK YOU!